Five time Dakar winner Cyril Despres will leave the Dakar bike category he has dominated for the last decade, alongside Marc Coma, to make a shock switch to a new official Peugeot car team. The 40 year old Frenchman has become the benchmark all other Dakar riders are judged since winning his first Dakar in Africa in 2005. His meticulous preparation, superb navigating and ability to win a stage even when opening it gives him enviable Dakar stats of 13 stars, 13 finishes, five podiums and five wins. His stunning record was all achieved with KTM. For the 2014 race Despres left KTM to embark on a new challenge with Yamaha France. With less experience and infrastructure compared to KTM, Despres set about restructuring and improving the team and bike. Unable to make a consistent challenge due to an early race crash and technical problems, Despres still impressed and showed that he had lost none of his fight. He rode superbly during the second week to claim three stage wins and fourth overall. His switch from the pinnacle of Rally Raid to the car category is not uncommon amongst former Dakar legends. The greatest of which is Stephan Peterhansel who won six Dakars in the bike category for Yamaha before switching to cars where he has won another four Dakars and counting. 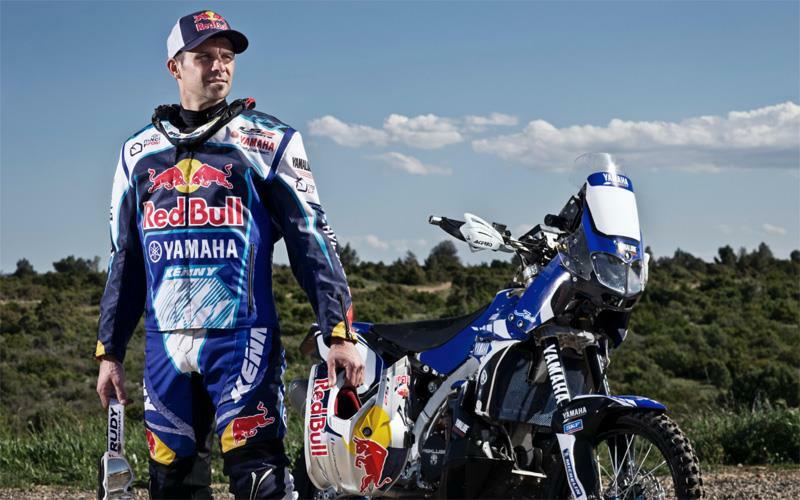 Despres said: “On leaving the last Dakar, the idea of not returning on a bike was far from my mind! But I was lucky enough to be contacted by Peugeot. It’s an opportunity to make a grand entrance into the car category and the sort that only comes along once in a lifetime”. “Now, I’m going to have to learn to be able to stamp my mark on the category like only a few competitors have managed in a car after having won on a bike. I’ve always said that I was able to make progress in the rally-raid discipline because I was surrounded by major names of the discipline like Roma, Meoni and Sainct who taught me a lot and paved the way for me. "In this team, I’ve got the feeling that it will be the same. I’m convinced that Carlos will be able to teach me a great deal. It will be superb adventure, a logical progression for me, and that gives me the desire to do well”. Despres will race in the 2015 Dakar where he will join Dakar winner Carlos Sainz in the big budget official Peugeot team. Frenchman Cyril Despres claimed the stage victory and with it the overall lead of the 2011 Dakar.